On 25th of January School of Science and Technology of the University of Georgia will host a public lecture on – “Blockchain Meetup”. Within the scope of lecture, basics of smart contact programming of Blockchain Meetup-Ethereum will be discussed. 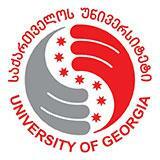 Public lecture will be led by Mr. David Kiziria Associate Professor of the University of Georgia.